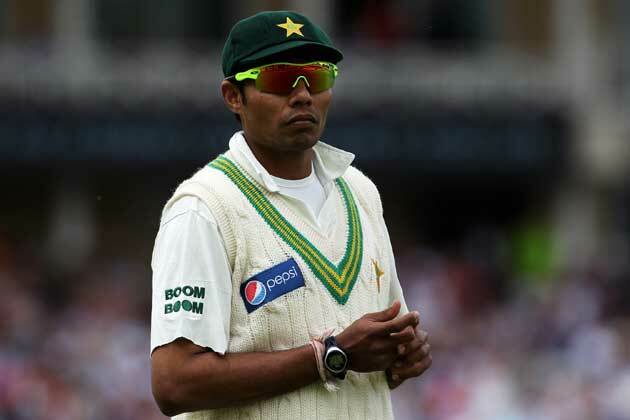 Pakistan leg-spinner Danish Kaneria and his lawyer are hoping that an appeal hearing by the England and Wales Cricket Board, which starts from Monday, will remove or at least reduce the life ban imposed on the cricketer for involvement in spot-fixing in county cricket. Their hopes have been raised after former Essex player, Mervyn Westfield, whose testimony at the earlier disciplinary hearing of the ECB this year played a big role in Kaneria being found guilty, announced he will not appear for the appeal hearing. "It is strange that Westfield's lawyer has said his client will not appear for the appeal hearing because it is on his testimony that the ECB disciplinary panel based its case against me," Kaneria said from London. "My lawyer will be taking up this issue when the appeal hearing starts from Monday as we feel that Westfield has lied throughout the earlier hearing also and we want to cross examine and prove his testimony a lie," Kaneria said. The Pakistan spinner, who has appeared in 61 matches for his country, has been banned for life from playing in England by the ECB panel, but he has appealed against the decision. The ECB panel decision has also been partially implemented by the Pakistan Cricket Board, which has suspended Kaneria from all cricket activities until a decision comes from his appeal hearing. Kaneria last played for Pakistan in England in 2010 but had been since sidelined by the board after he was questioned in a spot-fixing investigation by Essex police which probed a Pro-40 match involving Essex and Durham in 2009.